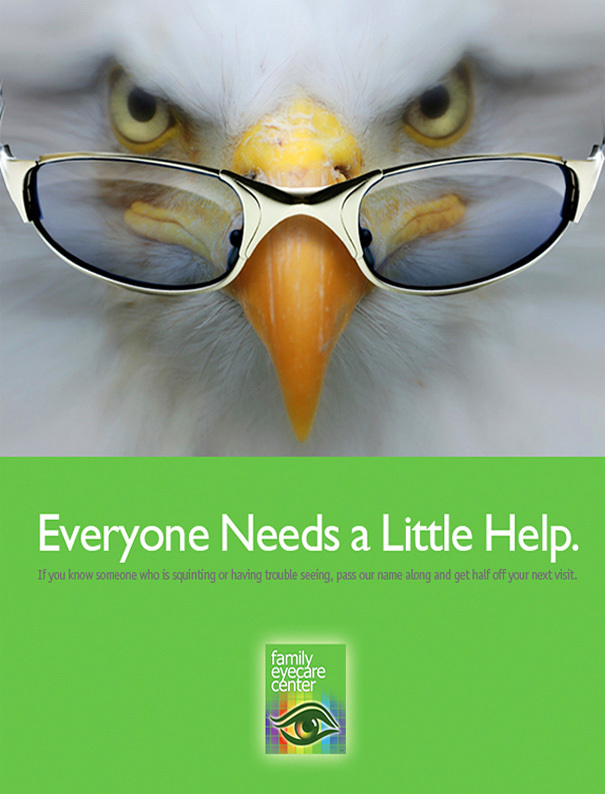 Family Eyecare Center is a large optometrist office in need of a new image and marketing effort. The visual is an easily relatable image that every one needing vision care can understand. The eagle image is part of their business card, outdoor signage and online banners.